The decision by the Bank of Japan on concrete steps to help jumpstart the world's No. 3 economy will be center stage on Wednesday. Meanwhile, Spain adds concern as bad debt in local banks set a record high in July. Asian markets rose early Wednesday, as investors held on to hopes that the Japanese key banking regulator would conclude a two-day policy meeting by announcing concrete measures to revive the economy. Japan’s GDP dropped 0.7% in 2Q 2012, with a fall possible to carry into the 3Q and reach 0.3–0.4% year-on-year, according to Anna Bodrova of Investcafe. “The policy decision could have a significant bearing on how the Nikkei and the rest of the region trades today,” added Stan Shamu of IG Markets in Melbourne, Australia. Japan's Nikkei 225 index rose 0.3% to 9,146.62. Hong Kong's Hang Seng index gained 0.4% to 20,674.27 and Australia's S&P/ASX 200 added 0.2% to 4,402.80. Benchmarks in Singapore, Taiwan and mainland China also rose. South Korea's Kospi fell 0.5% to 1,995.09. Tuesday’s session In Russia was mixed. The RTS was down 2.18% to 1,547.18 and the MICEX lost 0.98% to end at 1,515.3. The amount of bad debt in Spain has skyrocketed, as the country came under further pressure to take up the ECB’s offer to help governments struggling with too much debt by buying unlimited amounts of bonds. The Bank of Spain bank reported that the country's banks in July had 170 billion euro (US$221 billion) in loans at risk, representing 9.86% of the total. The proportion of non-performing loans in July was up from 9.42% in June. 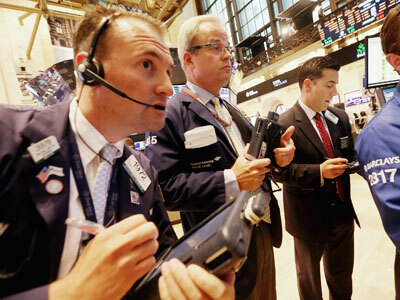 This drove the major European indices into the red in Tuesday’s session. 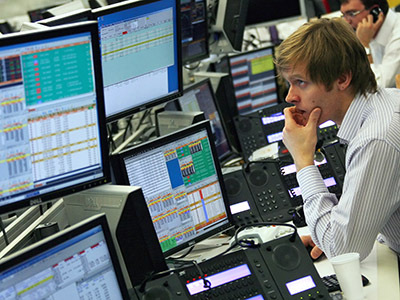 The FTSE-100 lost 0.63%, CAC 40 dropped almost 1% and DAX went down 0.62%. Wall Street posted mixed results Tuesday after FedEx, the world's second-largest package delivery company, cut its outlook for global growth and industrial production while slashing the forecast for company earnings. Also Tuesday, the US Commerce Department reported that the current account deficit, the broadest measure of American trade, dropped 12.1% in the second quarter. That's down from a record high in the January-through-March quarter. The deficit shrank because of an increase in American exports and cheaper oil, although economists expect it to grow again because of the global slowdown. Markets had rallied sharply last week after the Federal Reserve announced aggressive measures intended to kick-start the economy and spur job growth. The Fed will purchase an average of $40 billion a month in mortgage-backed securities until the economy shows significant improvement. The goal is to lower long-term interest rates and encourage more borrowing and spending. The Fed also said it plans to keep its benchmark short-term interest rate near zero until mid-2015. 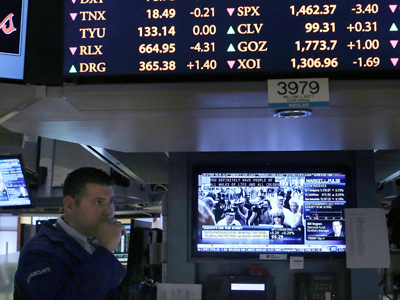 The Dow Jones industrial average rose marginally to close at 13,564.64. The S&P500 fell 0.1% to 1,459.32. 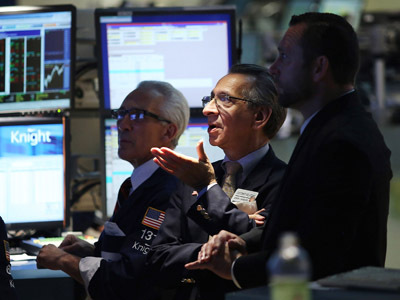 The Nasdaq Composite fell 0.03% to 3,177.80. Benchmark oil for October delivery rose 29 cents to $95.58 per barrel in electronic trading on the New York Mercantile Exchange. The contract fell $1.33 to finish at $95.29 a barrel on the NYMEX on Tuesday.